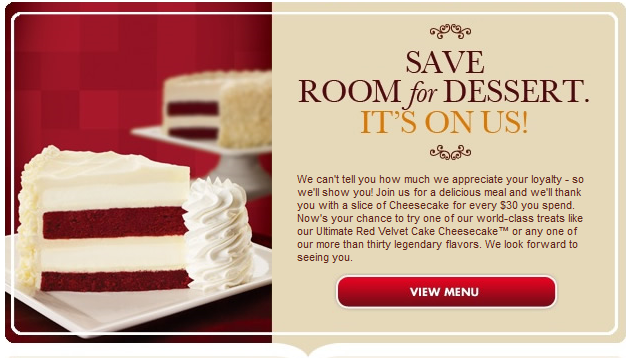 Now through June 28th you can receive a free piece of cheesecake with any $30 purchase. Click Here to print out your coupon. Note that this offer is only valid Sunday through Thursday.